Restaurant chain Prezzo has won agreement from creditors on a rescue deal that will see it close 94 of its 300 restaurants. The company did not say how many jobs would go but it was understood around 500 were affected. 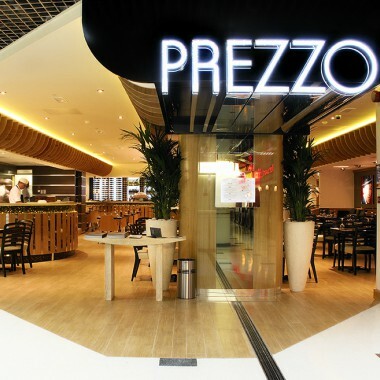 Prezzo won the backing of 88% of creditors under a Company Voluntary Arrangement (CVA) on Friday, details of which were first reported by Sky News last month. It is the latest in a string of restaurant businesses to run into trouble, after upmarket burger chain Byron won approval for a CVA earlier this year and celebrity chef Jamie Oliver's restaurant chain said it would close dozens of its outlets. The sector has been hit by rising staff costs and lower footfall as well as the slump in the value of the pound after the Brexit vote which pushed up ingredient costs. Prezzo chief executive Jon Hendry-Pickup said the move was a "tough decision". "While we continue to be profitable, the pressures on our industry have been well documented," he said.